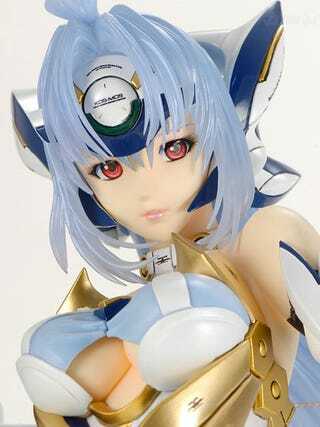 Epic sci-fi series Xenosaga inspires devotion in its die-hard fans, and KOS-MOS is a Xenosaga character that inspires devotion in their...hearts. Here's a new KOS-MOS figure. But be warned. She is expensive. Due out later this year, it's actually a statue, hence the extra detail and inflated price-tag over what you'd expect from a standard "figure". It's big - like, 1/4 scale big - but also ¥50,400. Which is, uh, USD$550. If that's a bit much for you, Xenosaga fans, may we recommend something a little cheaper?